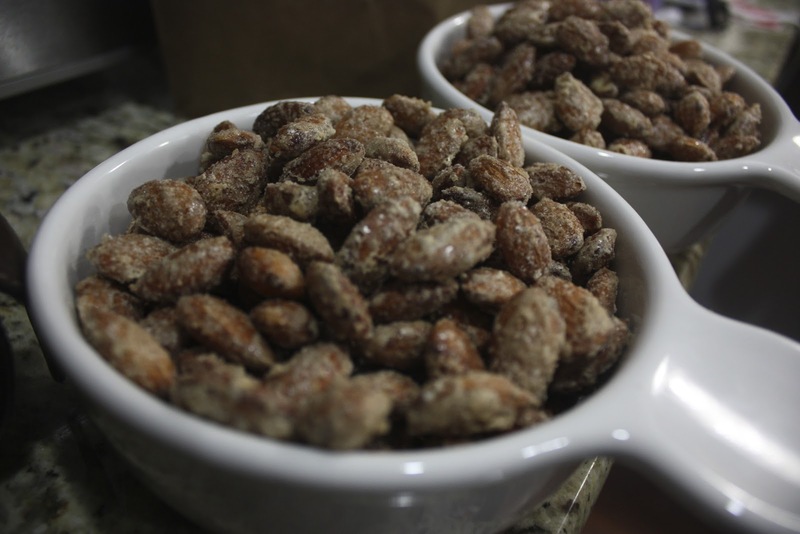 Place all ingredients in a large bowl and mix well, then add almonds to coat completely. Place on a baking dish with wax paper on the bottom. Bake in a 250 degreee oven, turning every 15 minutes to prevent burning. Delicious.